The user can add multiple DBX files individually or Add Folder containing various DBX files and convert files in batch. These converted EML messages can then be directly uploaded to Window Live Mail email client. If Outlook Express is configured on your machine then the DBX to Windows Live Mail Converter application will automatically locate the file and will make the conversion to the EML format without any manual interruption. The software holds multi conversion capability and hence can convert the Outlook Express email to eml format as well as in MS Outlook email client. You can easily make the switch without having to look for another software for this purpose. 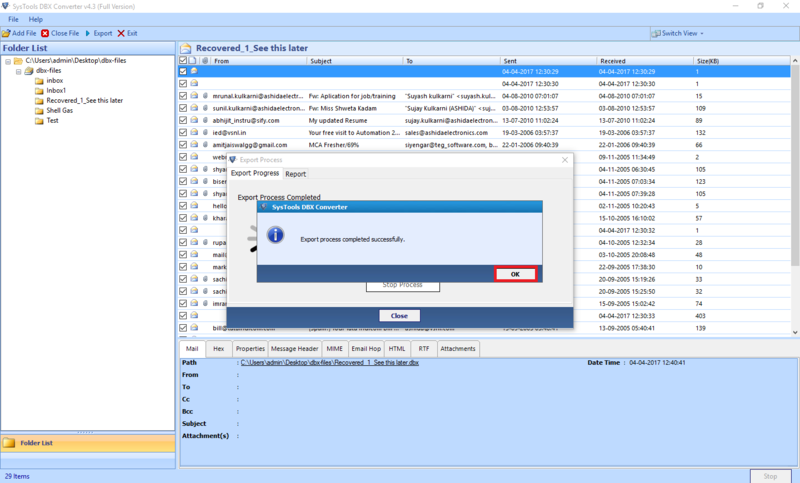 DBX to Windows Live Mail migrator generates an instant preview of all the attachments of corresponding emails. Users can preview attachments like documents, images, etc. However, they cannot save the attachments directly. 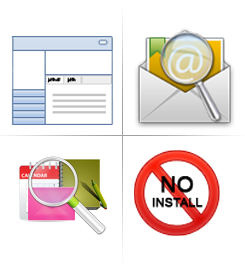 This DBX to EML Migrator software also enables the users to view each email message body of DBX file in various views. It includes Normal view, Hex view, Email Hop view, Property view, Message Header view, Attachments view, etc. In order to save DBX files in EML format, users can select any desirable naming options. Save files by subject, date, or any other combinations. 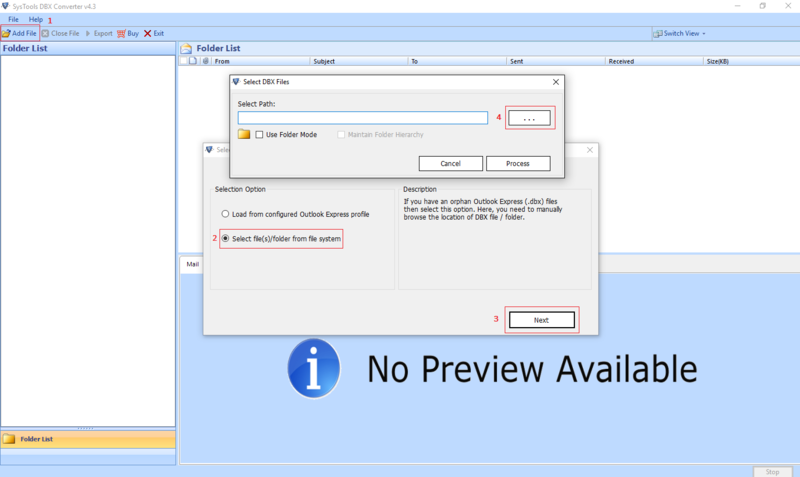 However, it also provides the option to save files by creating the new folder directly from software panel. 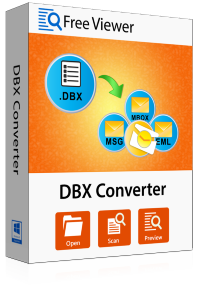 DBX to Windows Live Mail converter scans multiple Outlook Express DBX files simultaneously with the proper status report. It loads all the emails and shows the item count of each folder in DBX file. 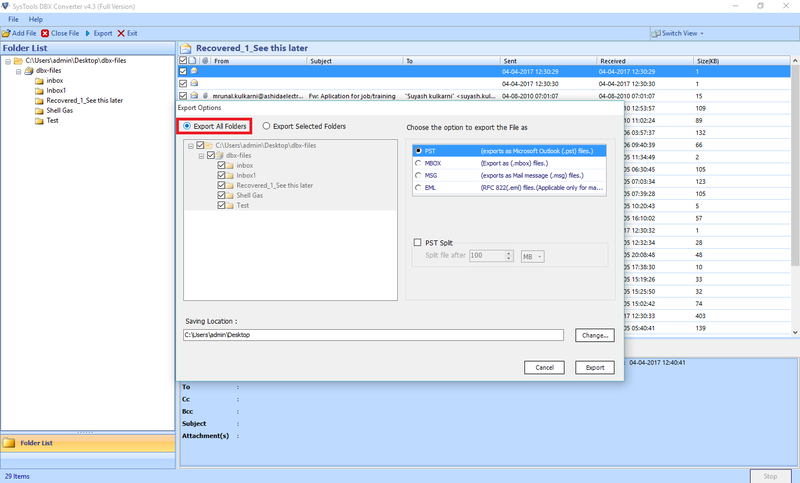 Users can also transfer selective files or folders from DBX to EML format by maintaining folder structure. It keeps the of emails intact after the conversion of DBX files. View and retain only emails of interest in EML format and instantly discard the rest. Different naming convention for data standardization. Instant scanning of the file and show you the total emails count that resides in the file. Ability to auto-detect your DBX file. The tool gives you the ability to simultaneously add different DBX files. Why goes from Outlook Express to Window Live Mail Email Client? Outlook Express was a free solution provided by Windows for XP users who wish to do basic email task and who does not need Outlook which is enterprise-grade email solution. When Microsoft stopped providing support for XP people started to move to newer OS platform such as Vista, Windows 7, Windows 8 and now the latest in series Windows 10 and this is where the problem began since OE was not compatible with those OS. To bridge the gap Microsoft launched Window Live Mail (now Window Mail) that is designed for users who need basic email solution. The only problem arises in this scenario is that Outlook Express uses .dbx format to store emails while Windows Live mail use .eml format for the same purpose hence those who want to migrate from Outlook Express to Windows live mail needed a solution that will bridge the gap and this is where the role of the DBX to EML converter software comes in which makes the whole conversion process easier. How DBX to EML Converter Works? Can I convert multiple DBX files to Outlook Express to EML converter? Yes, of course, you can easily add a number of files at once. You just have to create a folder, copy all DBX files into it & browse that folder on the tool to perform conversion of files in batch. Does DBX to EML Converter supports Mac OS X? No, it is windows based software and cannot be installed on Mac machine. However, you can install it on any Windows machine and perform the conversion. 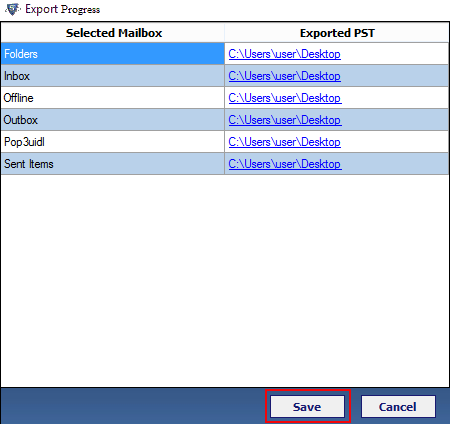 Which version of Outlook Express does DBX to EML exporter supports? This software supports all versions of Outlook Express viz; 4.1, 5.0, 5.01, 5.5 and the current version 6.0 as well. What are the steps to upload the converted emails to Windows Live Mail account? Once you convert DBX Files to EML format you can then easily upload and configure the Live Mail email client which provides the option to import the .eml files. This tool makes the conversion so simple as you just provide the .dbx file and rest the software does automatically. The only time it needs my input is when I have to specify which emails I wanted to retain. Soon after providing the file I got everything arranged in one folder and all emails that I wanted were there. It is easy and nice to work with Outlook Express to Windows Live Mail exporter. The DBX to EML converter is what I was looking for and it made the whole job a lot easier. Also when I had to import those converted emails in Windows Live Mail the technical expert is very helpful as he helped me in every step. The whole process was very helpful and easy and will be recommended to others who are in similar needs. I want to thanks to the developer team of Outlook Express to Windows Live Mail converter for creating such utility. It easily converts 50 DBX files without any hurdle. After the conversion of files, the file structure is unchanged. I must say this tool works great for me for the conversion of DBX emails. Besides being a very efficient software, The utility also happens to be an intelligent and powerful tool. It just demanded the DBX files that need to be converted. It is one of the best tool export DBX to EML. Thanks a lot ! !